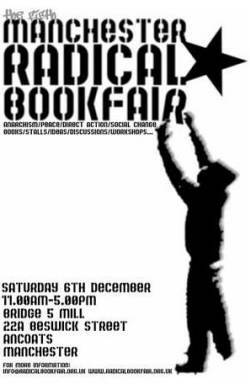 The first Manchester Radical Bookfair was organised in December 2001 at Bridge 5 Mill, the home of MERCi (Manchester Environmental Resource Centre Initiative) in Beswick, east Manchester. 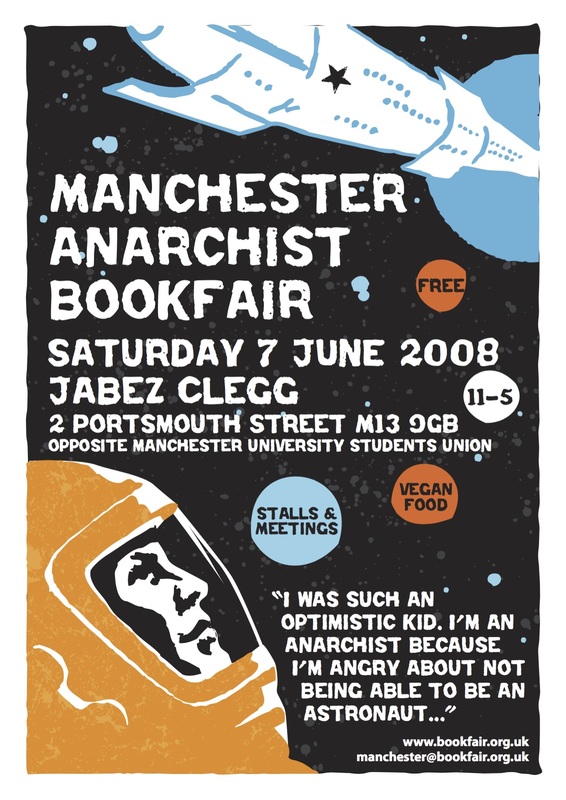 Five further bookfairs were organised at Bridge 5 Mill (taking place twice a year) before moving to The Basement, a new anarchist social centre on Lever Street in Manchester’s Northern Quarter. 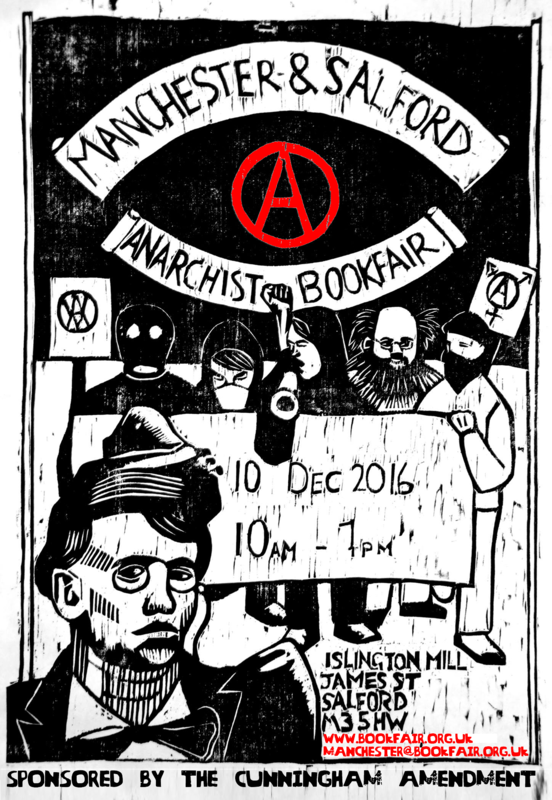 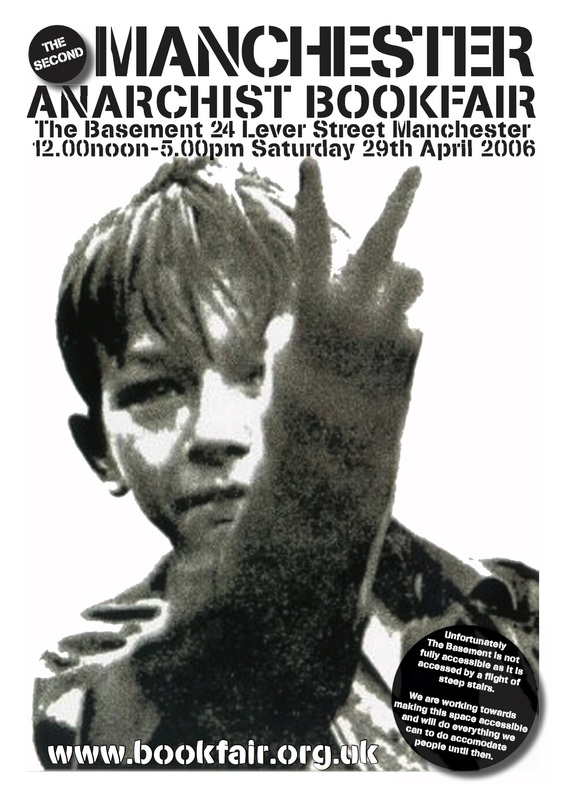 It was decided to change the name to the Manchester Anarchist Bookfair (as this better reflected to content/ philosophy of the bookfair and the Basement Social Centre). 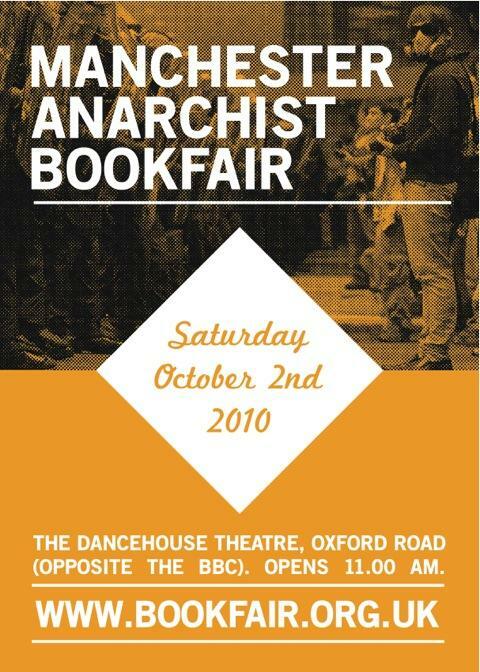 Two further bookfairs were organised at the Basement before the social centre closed due to flooding. 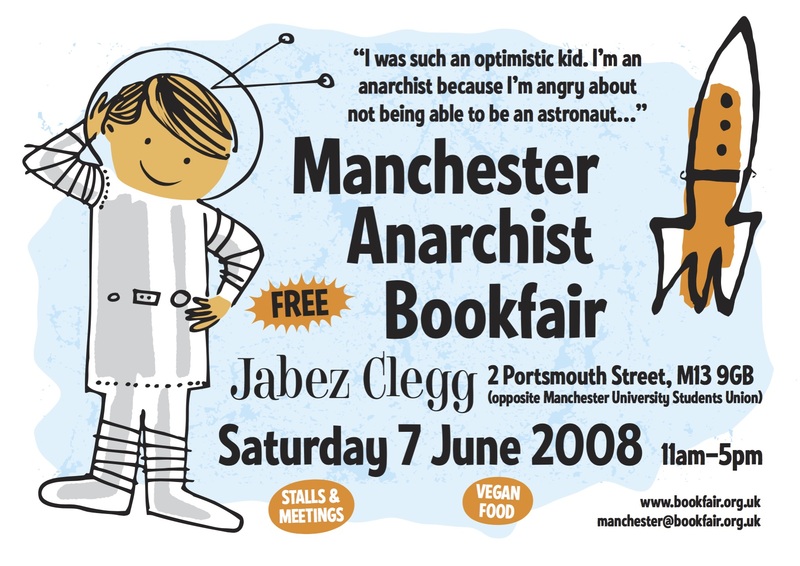 The search for a new venue was on and the bookfair took place twice at Jabez Clegg (a night club close to Manchester University) and then once at the Dancehouse Theatre (opposite the now demolished BBC building). 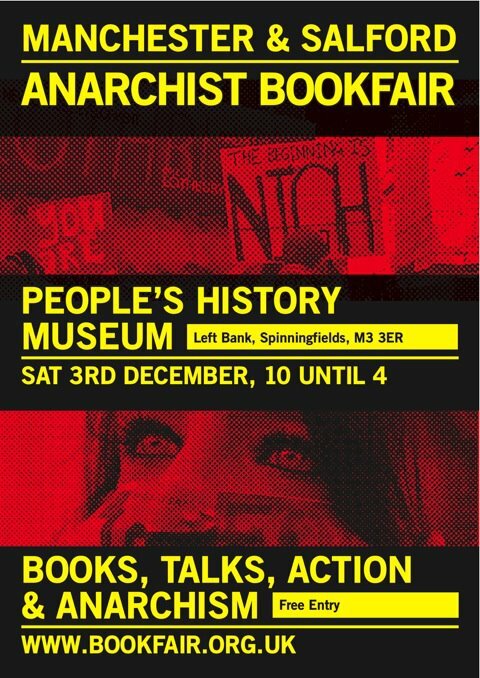 Finally the book fair moved to the People’s History Museum on the banks of the River Irwell in the Spinningfields area of Manchester city centre. 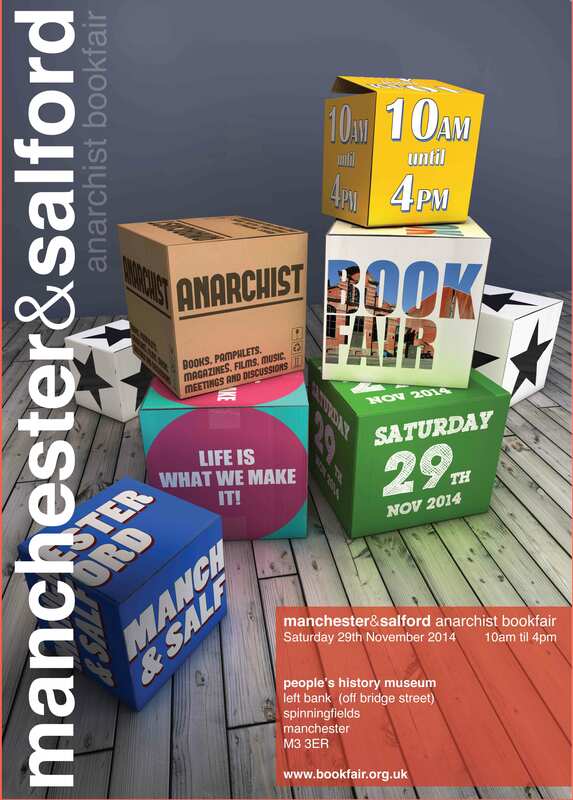 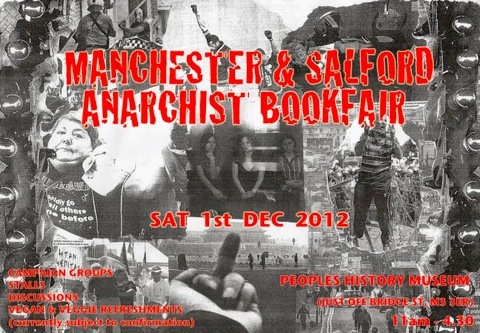 After the first year the book fair was renamed the Manchester & Salford Anarchist Bookfair to reflect its current location on the edge of the two cities. 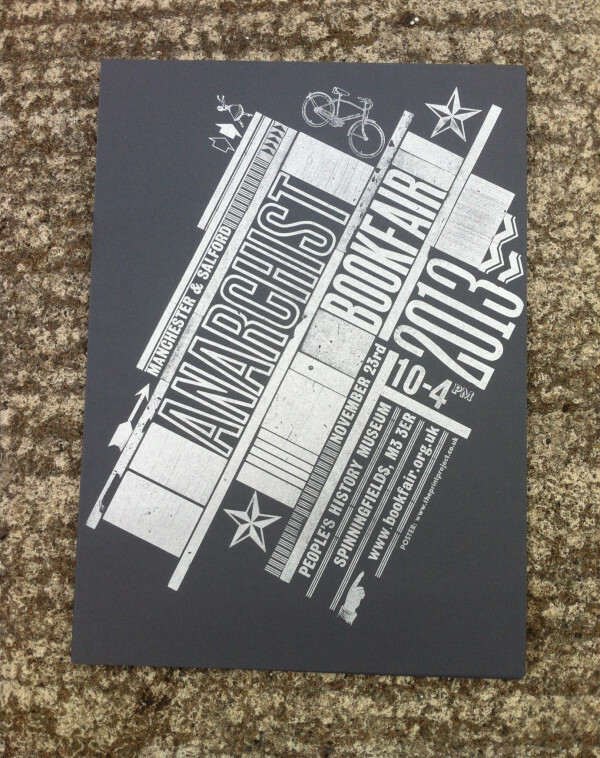 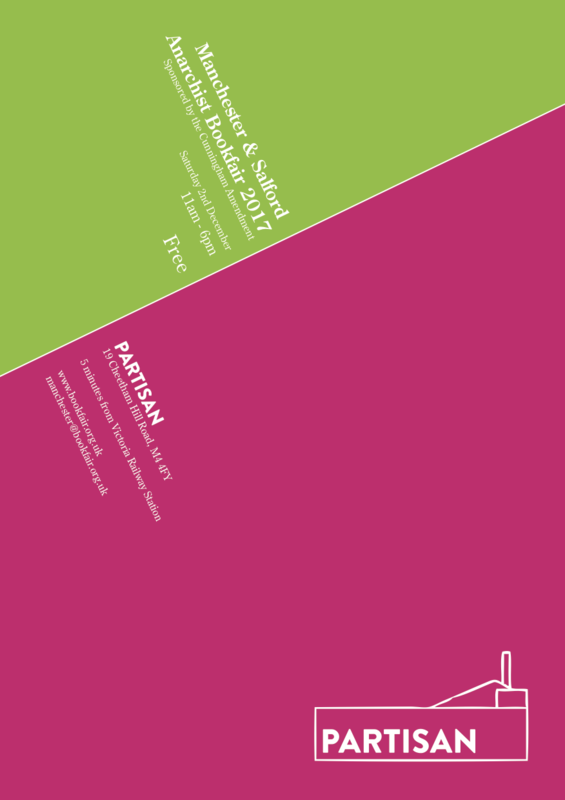 Here’s a list of all the bookfairs to date with posters where available.